Check out the ABC's of R.A.W. Biolage R.A.W. NOURISH transforms dry, dull hair into healthy-looking soft locks using ingredients like coconut oil, honey and quinoa husk and kaolin clay. Biolage R.A.W. Nourish Shampoo features quinoa husk and honey which feeds dry, dull hair for healthy-looking, softer locks. The Nourish Shampoo has a great scent but the only way I would be able to describe it would be, a fresh masculine scent of honey. The shampoo itself has a runny consistency and lathers nicely without foaming too much. After applying the shampoo to wet hair with a massaging motion, I follow with the Nourish Conditioner. Biolage R.A.W. Nourish Conditioner has coconut oil and kaolin clay that feeds dry, dull hair and intensely conditions for soft, shiny touchable strands. The Nourish Conditioner has a sweet scent of coconut. It actually smells quite relaxing. The conditioner is pretty thick but once applied to wet hair, it lathers well. After leaving the conditioner for 1-2 minutes, rinsing thoroughly wasn't a problem. Overall, having the chance to discover Biolage R.A.W., I really love the entire collection. The Nourish collection really helped my dry, dull hair feel its best by providing soft, shiny and healthy-looking hair. What are your thoughts on Biolage R.A.W.? 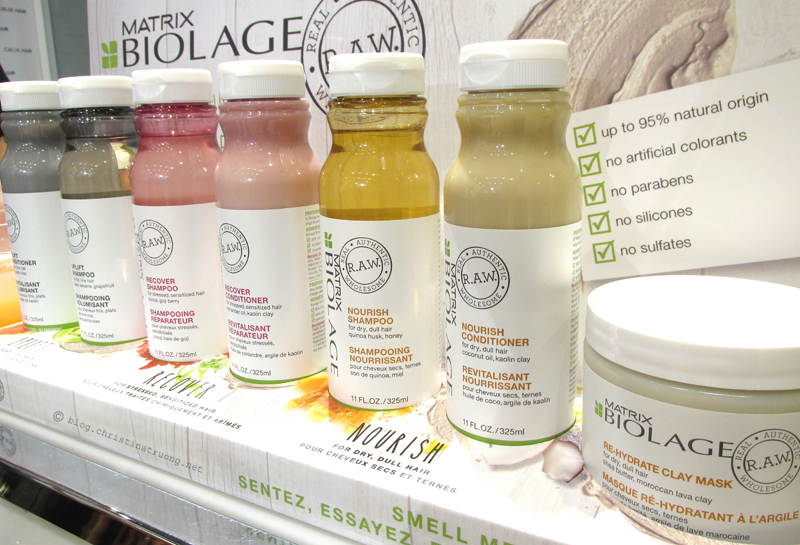 Have you heard about Biolage R.A.W.? What do you think of the products being natural-origin? Disclaimer: Products received under this post were complimentary as I was invited to the Biolage R.A.W. launch event. The content of this post is not sponsored. Views expressed are of my own.